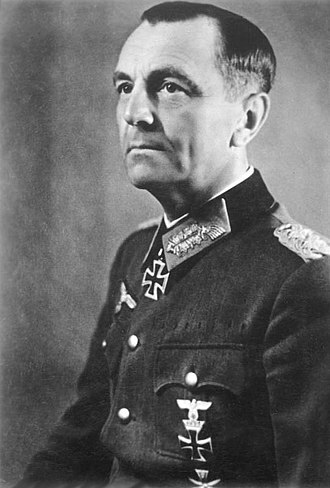 Hermann Hoth (12 April 1885 – 25 January 1971) was a German army commander and war criminal during World War II. He fought in the Battle of France and as a panzer commander on the Eastern Front. Hoth commanded the 3rd Panzer Group during Operation Barbarossa in 1941, and the 4th Panzer Army during the Wehrmacht's 1942 summer offensive. Following the encirclement of the 6th Army in the Battle of Stalingrad in November 1942, Hoth's panzer army unsuccessfully attempted to relieve it during Operation Winter Storm. After Stalingrad, Hoth was involved in the Third Battle of Kharkov, the Battle of Kursk in the summer of 1943 and the Battle of Kiev. Hoth implemented the criminal Commissar Order during the invasion of the Soviet Union. After the war, Hoth was convicted of war crimes and crimes against humanity in the High Command trial and sentenced to 15 years. He was released on parole in 1954. 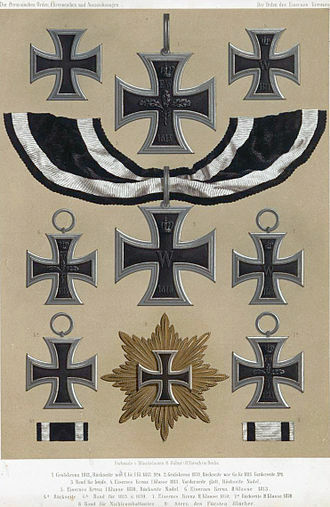 Born in 1885, Hoth joined the army in 1903 and was awarded both classes of the Iron Cross during World War I. 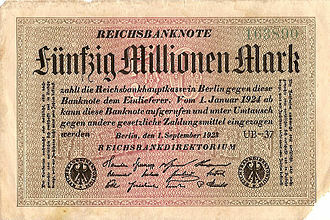 He remained in the Reichswehr (the armed forces of the Weimar Republic) in the interwar period. Following the reorganization of the German military into the Wehrmacht in 1935, he was appointed to command the 18th Infantry Division. 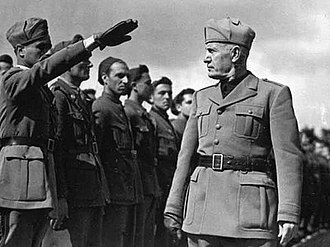 Hoth was promoted to Lieutenant-General and given command of the XV Motorised Corps in 1938, leading it in the invasion of Poland the following year. During the invasion of France in May 1940, his panzer corps was on Guderian's right flank during their advance through the Ardennes, and contained the 5th Panzer and 7th Panzer Divisions. 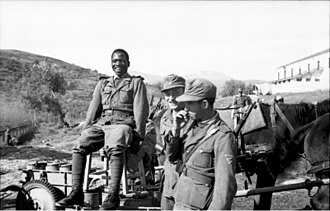 Hoth was promoted to Generaloberst in July 1940. 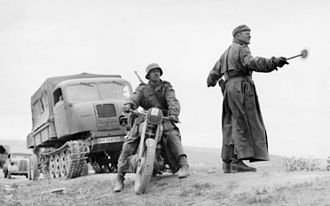 In Operation Barbarossa in 1941, Hoth commanded the 3rd Panzer Group which captured Minsk and Vitebsk as part of Army Group Center's operations. In mid July, the 3rd Panzer Group was subordinated to Army Group North to shore up the flanks and attempted to seize Velikie Luki. 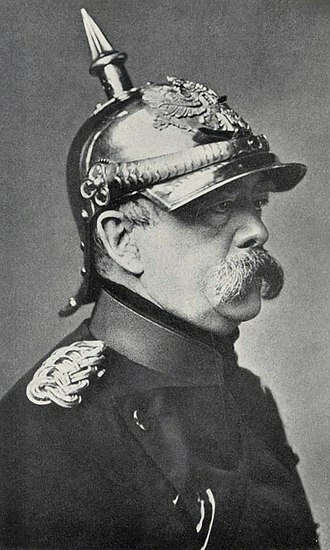 Hoth's forces were driven back on 20 July when Red Army forces broke through the German lines, prompting criticism from Field Marshal Günther von Kluge, commander of Army Group Center for unnecessarily striking out too far to the north east. 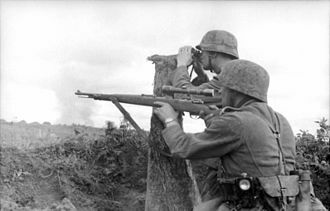 In mid to late August, Hoth's forces faced another setback owing to heavy losses and dispersal of efforts: facing the heavily reinforced Soviet 19th Army, he committed the 7th Panzer Division without infantry support, which resulted in what the historian David Stahel describes as a "debacle". The division's attack ran into fortified Soviet lines and was repulsed with the loss of 30 tanks. As with all German armies on the Eastern Front, Hoth's Panzer Group implemented the Commissar Order. According to reports from subordinate units, the order was carried out on a widespread basis. 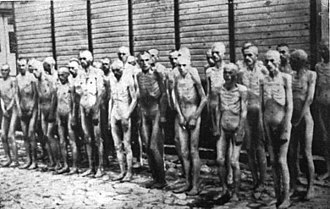 Every sign of active or passive resistance or any sort of machinations on the part of Jewish-Bolshevik agitators are to be immediately and pitilessly exterminated ... These circles are the intellectual supports of Bolshevism, the bearers of its murderous organisation, the helpmates of the partisans. 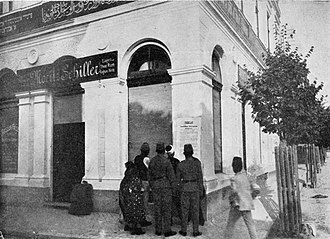 It is the same Jewish class of beings who have done so much damage to our own Fatherland by virtue of their activities against the nation and civilisation, and who promote anti-German tendencies throughout the world, and who will be the harbingers of revenge. Their extermination is a dictate of our own survival. During the Soviet winter offensives of early 1942, Hoth's 17th Army was driven back in the Second Battle of Kharkov. In June 1942, he took over from General Richard Ruoff as commander of 4th Panzer Army. 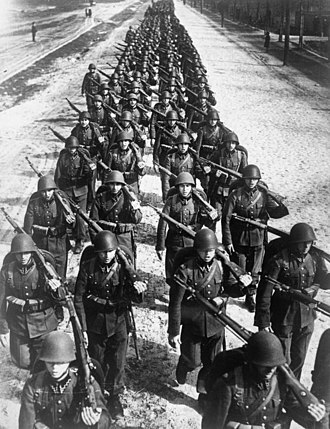 As part of Operation Blue, the German offensive in southern Russia, the army reached the Don River at Voronezh. Hoth was then ordered to drive to Rostov-on-Don. 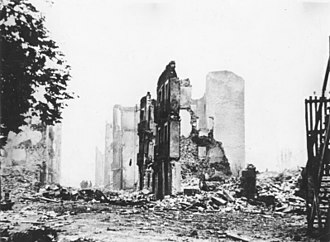 It then advanced to the north in support of the Sixth Army's attempt to capture Stalingrad. In November 1942, the Soviet Operation Uranus broke through the Axis lines and trapped the Sixth Army in Stalingrad. 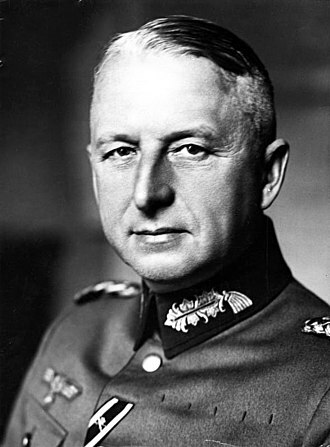 Hoth's panzer army led the unsuccessful attempt to relieve the Sixth Army (Operation Winter Storm), under the overall command of Field Marshal Erich von Manstein's Army Group Don. By 25 December, the operation had failed. In February 1943, Hoth's 4th Panzer Army participated in the counteroffensive against the Soviet forces advancing in the Donbass region. The operation was hastily prepared and did not receive a name. 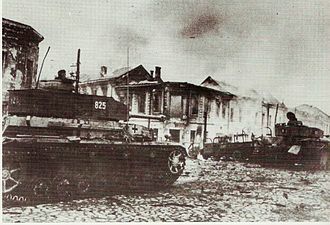 Later known as Third Battle of Kharkov, it commenced on 21 February, as the 4th Panzer Army launched a counter-attack. The German forces cut off the Soviet mobile spearheads and continued the drive north, retaking Kharkov on 15 March and Belgorod on 18 March. 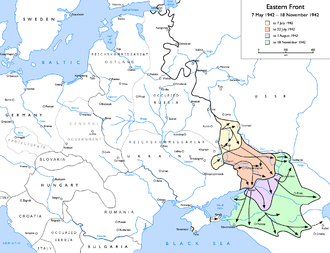 Exhaustion of both the Wehrmacht and the Red Army coupled with the loss of mobility due to the onset of the spring rasputitsa resulted in the cessation of operations for both sides by mid-March. 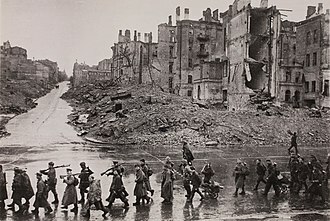 The counteroffensive left a salient extending into the German area of control, centered around the city of Kursk, and leading up to Operation Citadel. 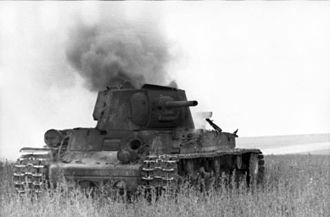 In July 1943, Hoth commanded the 4th Panzer Army in the Battle of Kursk as part of Army Group South. 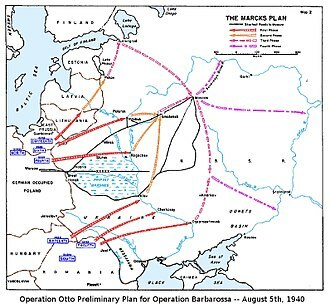 Operation Citadel called for a double envelopment, directed at Kursk, to surround the Soviet defenders and seal off the salient. The Army Group South committed Hoth's 4th Panzer Army, alongside Army Detachment Kempf. Hoth's divisions, reinforced by the II SS Panzer Corps under Paul Hausser, penetrated several Soviet defensive lines, before being brought to a halt in the Battle of Prokhorovka. 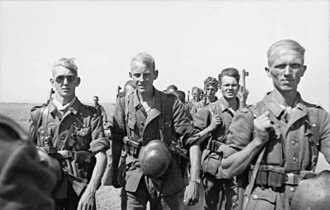 In the aftermath of Kursk, the Red Army mounted a series of successful offensives that crossed the Dnieper, retook Kiev and pushed the Germans out of eastern Ukraine. In September 1943, Hoth's army was operationally penetrated by Red Army units and was unable to maintain a continuous front line even in retreat. 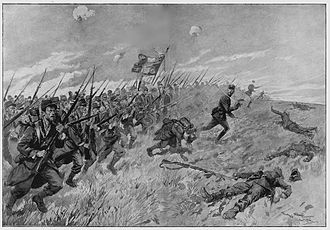 The army crossed the Dnieper south and north of Kiev with heavy losses. On 10 December 1943, Hoth was relieved of command, and was not recalled until April 1945. 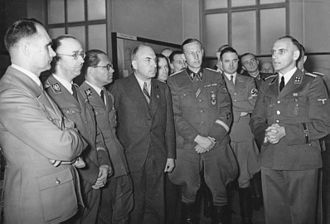 Following the end of the war, Hoth was tried at the Subsequent Nuremberg Trials, in the High Command Trial. During his testimony he sought to explain his November 1941 order aimed at elimination of the "Bolshevik-Jewish resistance". 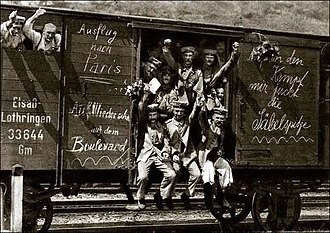 He claimed that his instructions only meant that his troops should be vigilant and were intended to improve morale: "The German soldier in his good nature ... easily forgot that he was still in enemy territory" and that the "power of Bolshevism [had to be] broken". 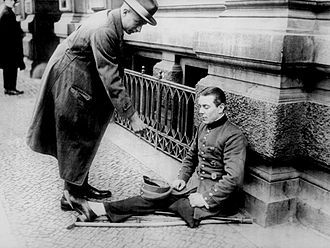 He insisted that no physical harm came to civilians as the result of this measure, which his troops executed with "clean hands". 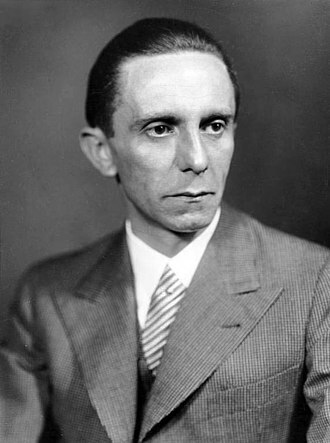 Hoth maintained that if any Jews had been killed it was due to their connection to crimes against the German forces. "It was a matter of common knowledge in Russia that it was the Jew in particular who participated in a very large extent in sabotage, espionage, etc.," Hoth claimed. Hoth was found guilty of war crimes and crimes against humanity. On 27 October 1948 he was sentenced to 15 years in prison. In January 1951, the sentence was reviewed with no changes. Hoth was released on parole in 1954; his sentence was reduced to time served in 1957. Hermann Hoth died in 1971. ^ a b c d e Heiber 2004, p. 938. ^ Glantz & House 2015, p. 88. ^ Stahel 2009, p. 408. ^ Hebert 2010, p. 259. ^ Hebert 2010, p. 213. ^ Hebert 2010, p. 273. ^ Mitcham 2008, p. 537. ^ Burleigh 1997, p. 69. ^ Citino 2012, pp. 66-67. ^ Clark 2012, p. 177. ^ Clark 2011, p. 187, 330. ^ Hebert 2010, pp. 121–122. ^ Hebert 2010, pp. 216–217. ^ Thomas 1997, p. 304. ^ a b c Scherzer 2007, p. 406. Burleigh, Michael (1997). Ethics and Extermination: Reflections on Nazi Genocide. Cambridge: Cambridge University Press. doi:10.1017/CBO9780511806162. ISBN 9780521588164. Citino, Robert M. (2012). The Wehrmacht Retreats: Fighting a Lost War, 1943. Lawrence, KS: University Press of Kansas. ISBN 978-0-7006-1826-2. Archived from the original on 2016-10-07. Citino, Robert M. (2009). "Death of the Wehrmacht". 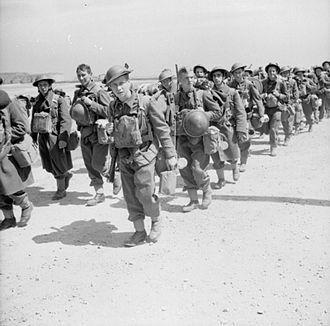 HistoryNet. Retrieved 30 May 2016. Clark, Lloyd (2011). The Battle of the Tanks: Kursk, 1943. New York: Grove/Atlantic, Inc. ISBN 978-0-8021-1908-7. "Hermann Hoth". LeMO at Deutsches Historisches Museum (in German). Retrieved 20 May 2016. Mitcham, Samuel W. (2008). 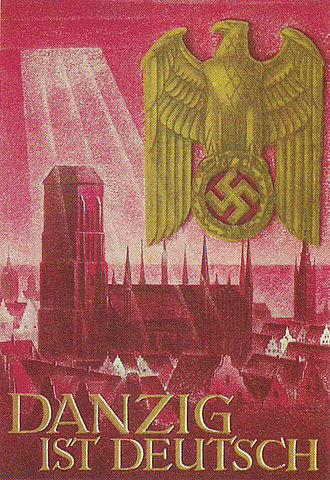 The rise of the Wehrmacht: the German armed forces and World War II, Volume 1. Westport, Connecticut: ABC-CLIO. ISBN 978-0-275-99659-8. The High Command Trial, known initially as Case No. 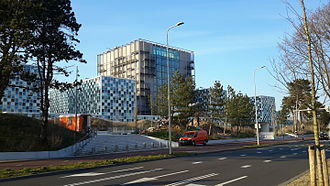 12, and as Case No,72, was the last of the twelve trials for war crimes the U. S. authorities held in their occupation zone of Germany in Nuremberg after the end of World War II. 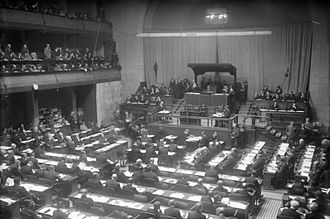 These twelve trials were all held before U. S. military courts, not before the International Military Tribunal, but took place in the same rooms at the Palace of Justice. The twelve U. S. trials are known as the Subsequent Nuremberg Trials or, more formally. 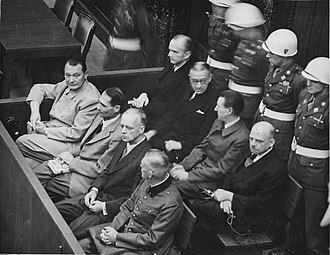 The accused in this trial were high-ranking generals of the German Wehrmacht and they were charged with having participated in or planned or facilitated the execution of the numerous war crimes and atrocities committed in countries occupied by the German forces during the war. The judges in case, heard before Military Tribunal V-A, were the American John C. The Chief of Counsel for the Prosecution was Telford Taylor, the indictment was filed on November 28,1947, the trial lasted from December 30 that year until October 28,1948. Of the 14 defendants indicted, two were acquitted on all counts, johannes Blaskowitz committed suicide during the trial. The remaining defendants received sentences ranging from three years including time served to lifetime imprisonment. 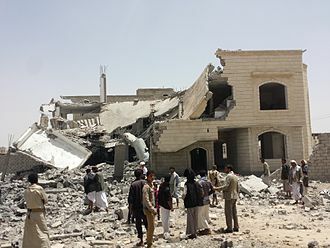 The accused faced four charges of having committed war crimes and crimes against humanity, Crimes against peace by waging war against other nations. 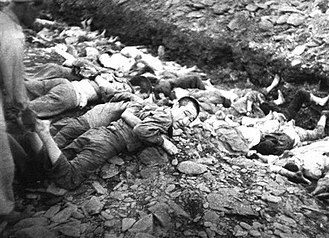 War crimes by being responsible for murder, ill-treatment and other crimes against prisoners of war, Crimes against humanity by participating or ordering the murder, deportation, hostage-taking, etc. of civilians in military-occupied countries. Participating and organizing the formulations and execution of a common plan, all defendants were indicted on all counts, they all pleaded not guilty. Count 4 of the indictment—the conspiracy charge—was soon dropped by the tribunal because it was covered by the other charges. The accused were, with respect to each charge, either indicted but not convicted or indicted and found guilty, as listed below by defendant, all sentences included time already served in custody since April 7,1945. Commander is a common naval and air force officer rank. 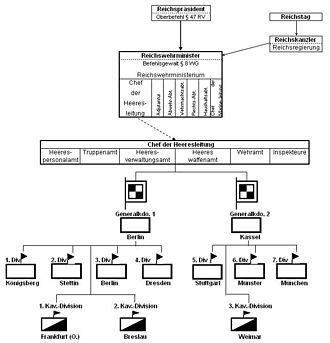 Commander is used as a rank or title in other formal organisations, Commander is a generic term for an officer commanding any armed forces unit, for example platoon commander, brigade commander and squadron commander. In the police, terms such as commander and incident commander are used. Commander is a used in navies but is very rarely used as a rank in armies. In practice, these were usually unrated sloops-of-war of no more than 20 guns, the Royal Navy shortened master and commander to commander in 1794, the term master and commander remained in common parlance for several years. The equivalent American rank master commandant remained in use changed to commander in 1838. A corresponding rank in some navies is frigate captain, in the 20th and 21st centuries, the rank has been assigned the NATO rank code of OF-4. Various functions of commanding officers were styled Commandeur, in the navy of the Dutch Republic, anyone who commanded a ship or a fleet without having an appropriate rank to do so, could be called a Commandeur. This included ad hoc fleet Commanders and acting Captains, in the fleet of the Admiralty of Zealand however, commandeur was a formal rank, the equivalent of Schout-bij-nacht in the other Dutch admiralties. The Dutch use of the title as a rank lives on in the Royal Netherlands Navy, in the Royal Netherlands Air Force, this rank is known by the English spelling of Commodore which is the Dutch equivalent of the British Air Commodore. The rank of commander in the Royal Australian Navy is identical in description to that of a commander in the British Royal Navy, RAN chaplains who are in Division 1,2 and 3 have the equivalent rank standing of commanders. This means that to officers and NCOs below the rank of commander, or wing commander, the chaplain is a superior. 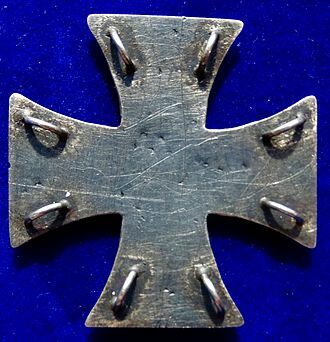 To those officers ranked higher than commander, the chaplain is subordinate, although this equivalency exists, RAN chaplains who are in Division 1,2 and 3 do not actually wear the rank of commander, and they hold no command privilege.